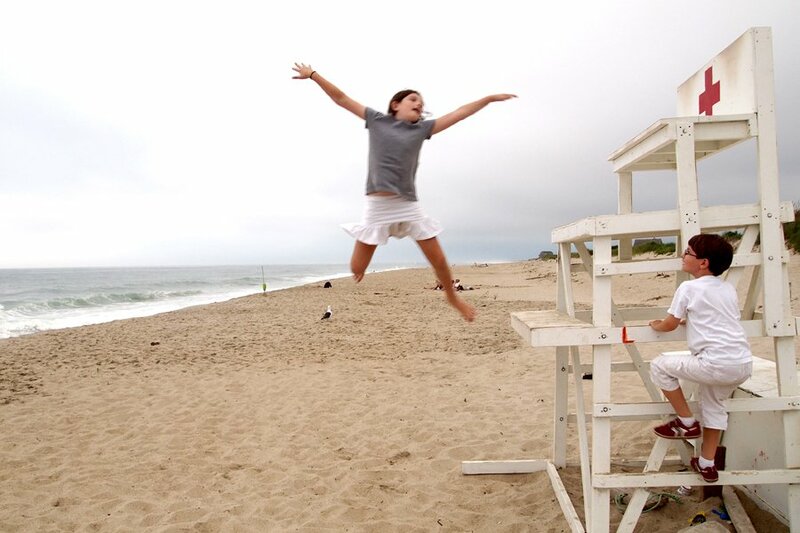 It's all jumping for joy on Madaket Beach in Nantucket. All photos by Sarah Picchi. 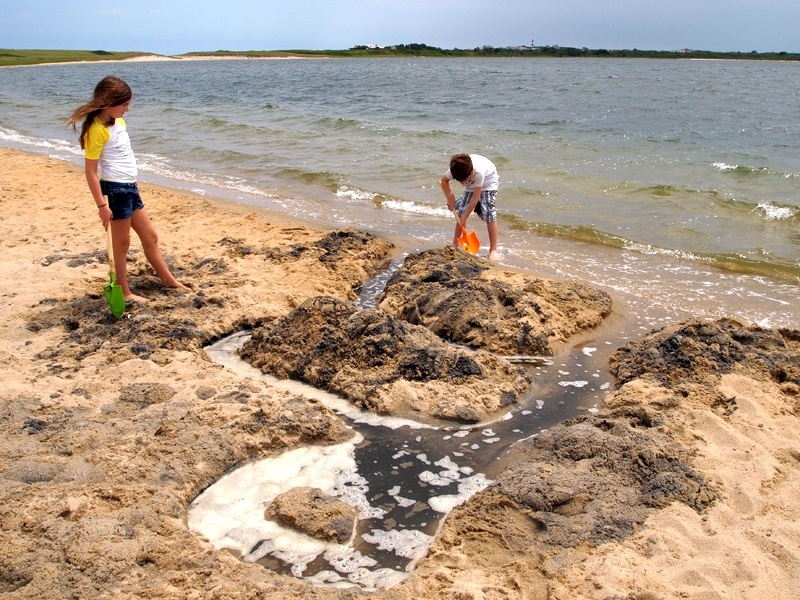 NANTUCKET, Massachusetts – We've been bringing our kids to Nantucket since our daughter Ava was eight weeks old. This year marked our 11th summer of vacationing on the island with kids in tow. What keeps us coming back? This list, for starters. Every article and guidebook mentions Jetties and Children's Beach as the island's top family beach spots. Pshaw. 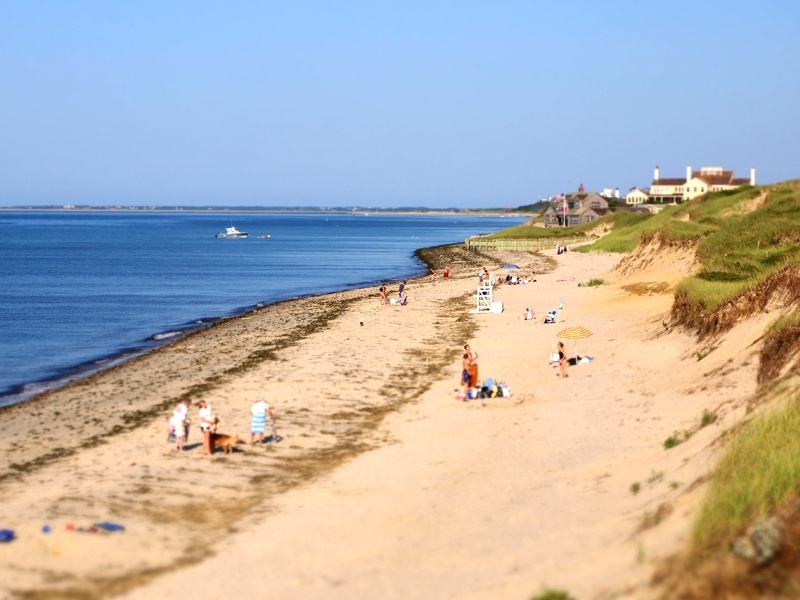 Unless you love crowds and swim diapers, skip both and head straight to Dionis Beach. It's perfect for families with young kids because the water is incredibly calm. There are lifeguards, restrooms, and plenty of parking. If you are staying in town, you could easily reach the beach by bike. Dionis Beach is also beautiful — and not teeming with people. There are no restaurants nearby, so bring refreshments if you plan to get hungry. Logistics: Dionis Beach is three miles from Nantucket town on the north shore of the island on Eel Point Road off Madaket Road. 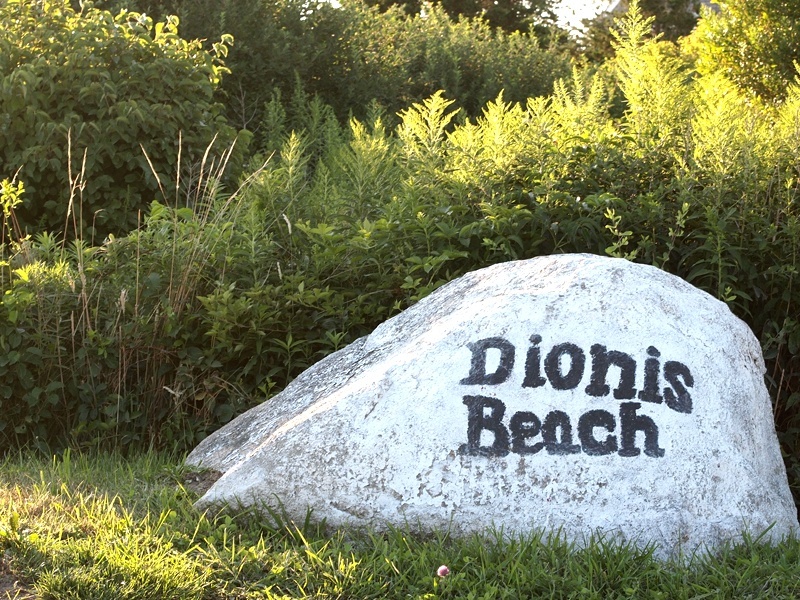 To find it, look for a white boulder with the word "Dionis" painted on it. 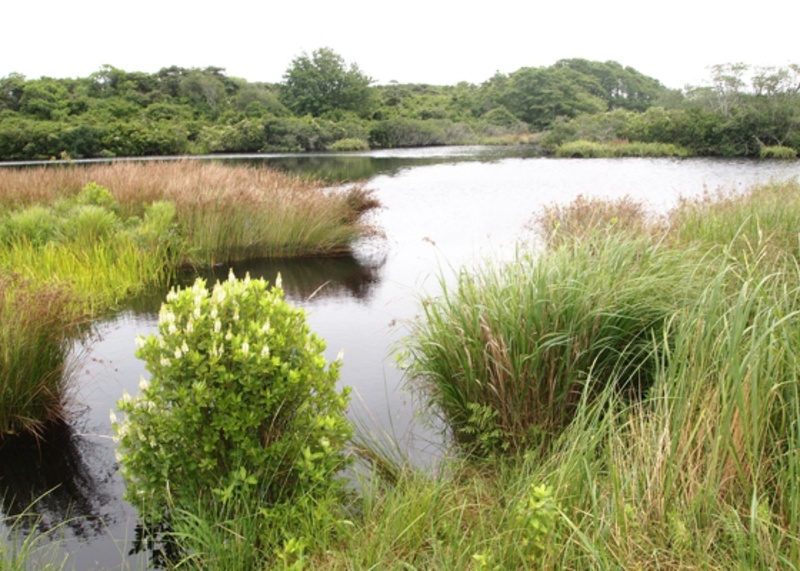 Sesachacha Pond (pronounced "SACK-a-juh") off Quidnet Road is the island's largest brackish pond, separated from the ocean by a narrow strand on its east side. It's a wonderful spot for families because the water is calm and the swimming is easy — no seaweed or waves. The pond is also great for kayaking, fishing, and sunfish sailing. 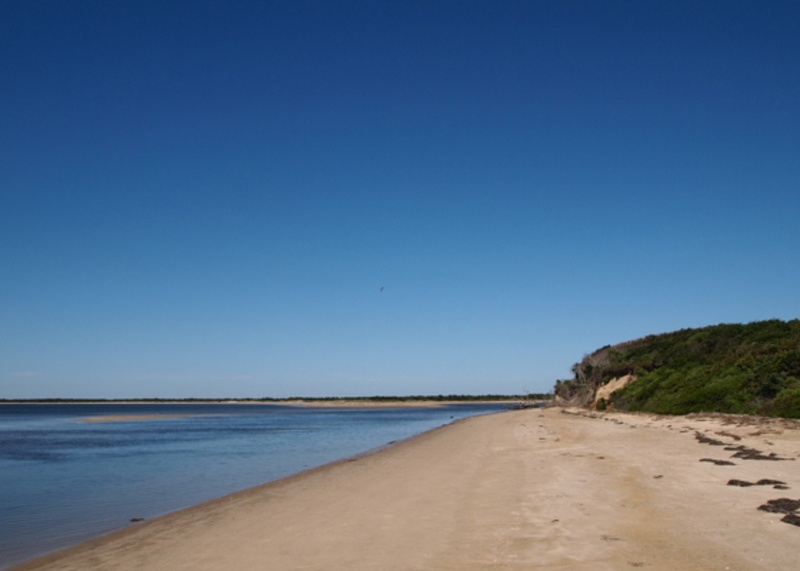 Quidnet Beach is a short walk over the dunes. Parking spaces are limited, but we've never had a problem. There are no public bathrooms or places to buy food and drink, so pack beforehand to avoid unfortunate low-sugar moments. The first time our kids took tennis lessons was in Nantucket a couple of years ago. There are many private tennis courts on the island, and some private clubs will let you pay to use their courts or take lessons from their pros. But for the past two seasons, we've found it easiest (no dress code!) and cheapest to have the kids play or take lessons at the public courts at Jetties Beach. You can rent a court and sign up for clinics or private or group lessons. If you don't feel like packing a racquet for your trip, you can rent one for $5 (included with all lessons). Logistics: Private lessons are $65/hour for one or $75/hour for two or more. Court reservations are $20/hour for singles or $25/hour for doubles. Open daily, 8 a.m. to 8 p.m.
2 Bathing Beach Road. For reservations or to book lessons, call +1-508-325&dash;5334. Learning to fish with Captain Wiggin. It comes as no surprise that Captain Ken Wiggin is the father of seven and grandfather of eleven because he's a natural with kids. Ken was the perfect teacher and guide for our kids' first fishing trip. His company, Fishy Advice, leads a variety of fishing trips (in Nantucket Harbor, to Great Point, etc.) of varying levels of experience and time/money commitments. Our kids had never gone fishing, so we opted for the two-hour fishing trip in Nantucket Harbor. 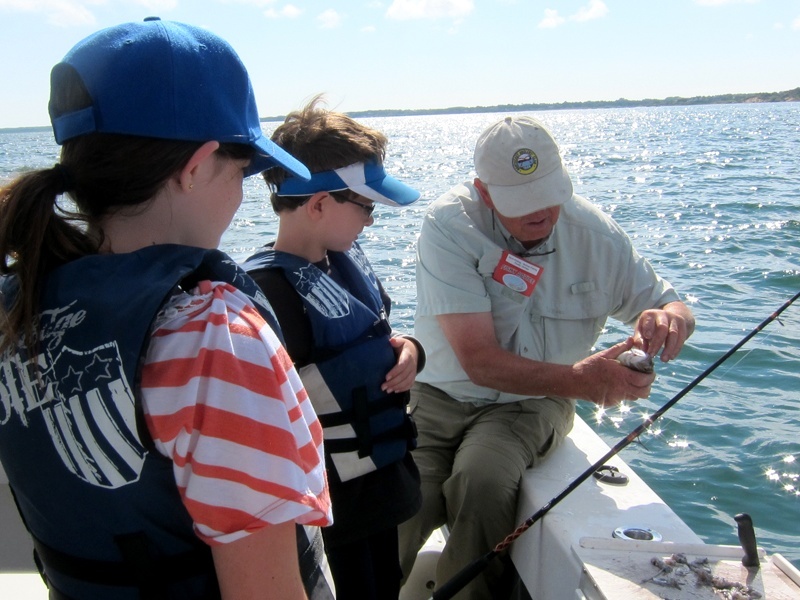 During that time, the kids caught a whopping 34 fish — mostly scup, as well as two sea robins, which are crazy prehistoric-looking fish with fins that open and close like wings. The kids are already begging us to go on a longer trip next year. Logistics: Captain Ken provides everything, including drinks and light snacks on his privateer boat. Don't forget a hat and sunscreen. Two-hour minimum; $125/hour. Meet at the public pier at 34 Washington, slip #76. Park at the public lot opposite the pier. For reservations, call Ken at +1-508-221-8278. 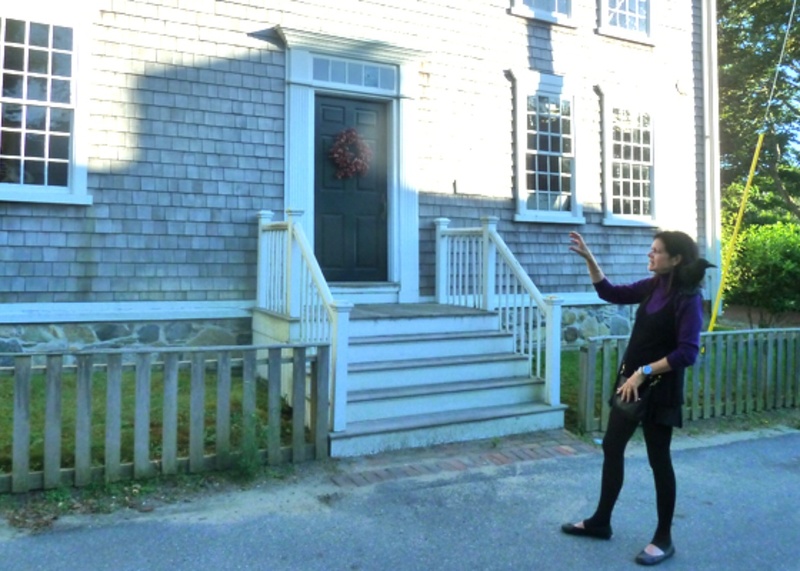 Maybe it's the fog and the palpable history of the place, but Nantucket has a reputation for being one of America's most haunted spots, and ghost stories have circulated for hundreds of years. I've gone on a couple of ghost tours lead by different guides over the years. The newest is Raven's Walk, started this summer by Robin Zablow, who, along with her trusty raven Edgar (spoiler: he's stuffed), guides families on a walk to some of the island's most haunted locations. Robin has been coming to Nantucket for about 30 years and is very well versed in the island's history. The 90-minute tour is geared towards an audience aged 5&dash;10, but the truth is she makes it interesting for all ages. Logistics: Walks are offered Monday through Friday and Sunday at 7:15 p.m., rain or shine. Private walks are also available. Children must be accompanied by an adult. Meet at the park at the intersection of Main Street and Fair Street in Nantucket town. Tickets are $10 for children and $20 for adults; payable in cash upon arrival. Reservations are not required. For more info, email ravensghostwalk@gmail.com or call +1-508-257&dash;4586. Learning to work with scrimshaw. 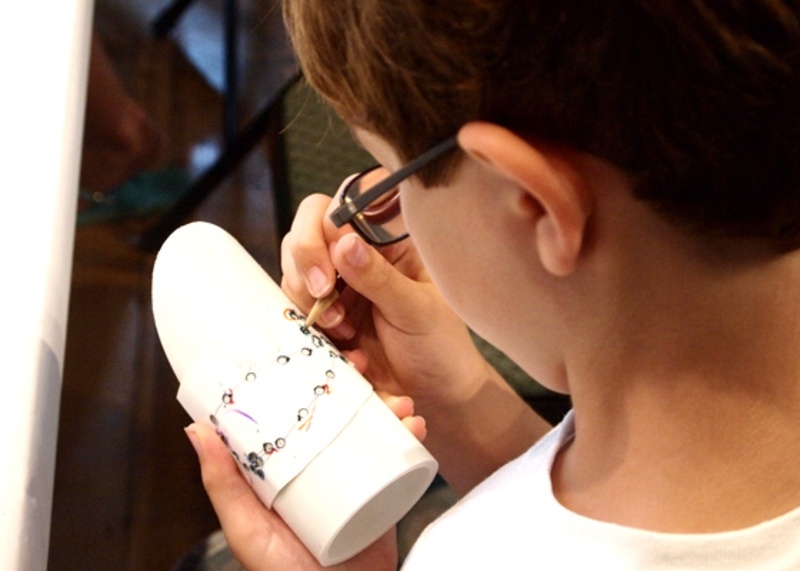 No trip to the island is complete without a visit to the Whaling Museum, especially the discovery room, which is packed with interactive activities for the kids, including arts and crafts. When we visited, the room was staffed with wonderful college students who answered questions and helped the kids with their crafts. Activities change daily. Our kids made modern scrimshaw using PVC instead of ivory; other activities have included sailors' valentines and mobiles. It would just be foolish not to take advantage of Nantucket's wonderful bike paths. 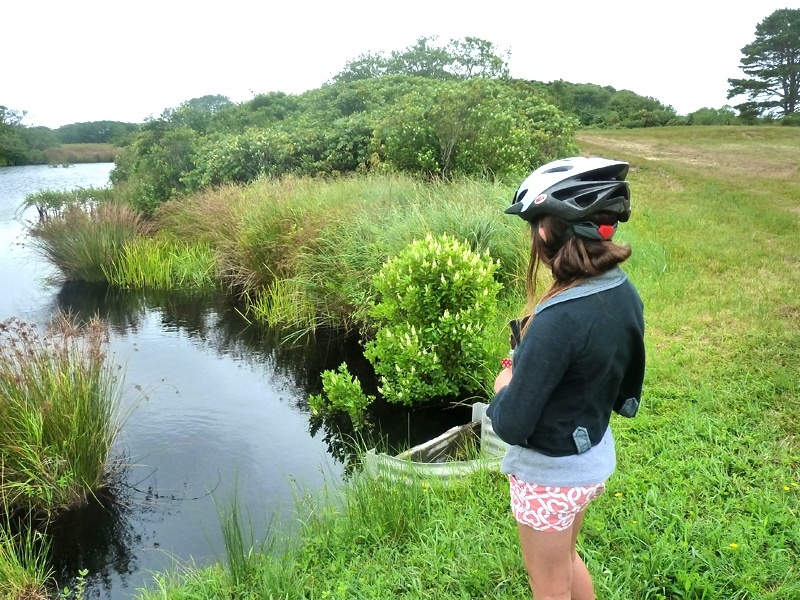 The island has more than 30 miles of bike paths, most of which are very flat and perfect for families. Our favorite biking adventure this season went from Sconset out to Windswept Cranberry Bog off Polpis Road. Cars are not allowed past the parking lot, but hikers and bikers are allowed to keep exploring the bogs. We went down dirt roads and were rewarded with wild blueberries to pick and beautiful Stump Pond off Polpis Road between Wauwinet and Quidnet Roads. From May to October, the Trustees of the Coskata-Coatue Wildlife Refuge offer guided tours of the area. A naturalist guide leads over-sand vehicle tours that teach the history, ecology, and geology in the area. The tour typically includes a drive out to Great Point Lighthouse. Unfortunately, when we were unable to visit the lighthouse on our tour because a nest of endangered piping plovers had recently been discovered on that stretch of beach. The tour lasted about two and a half hours and was a fantastic opportunity to see an area of the island that is inaccessible without an over-sand vehicle permit. Our guide stopped whenever we wanted to get out to explore or take photos. He also found bayberry and sarsaparilla for the kids to smell and foraged beach pickles for everyone to taste. He pointed out fiddler crabs and the area's many birds, including giant ospreys. The website says the tour isn't recommend for children under five, but you may want to wait until your kids are 7&dash;8, as there is a fair amount of sitting and listening. Logistics: The cost is $40 for adults ($60 for non-members) and $20 for children under 12. Bring drinks, snacks, and sunscreen. Tours meet at the Wauwinet Gatehouse; to get there, follow Wauwinet Road. Reservations required: +1-508-228-6799. Captivated at the Shipwreck Museum. 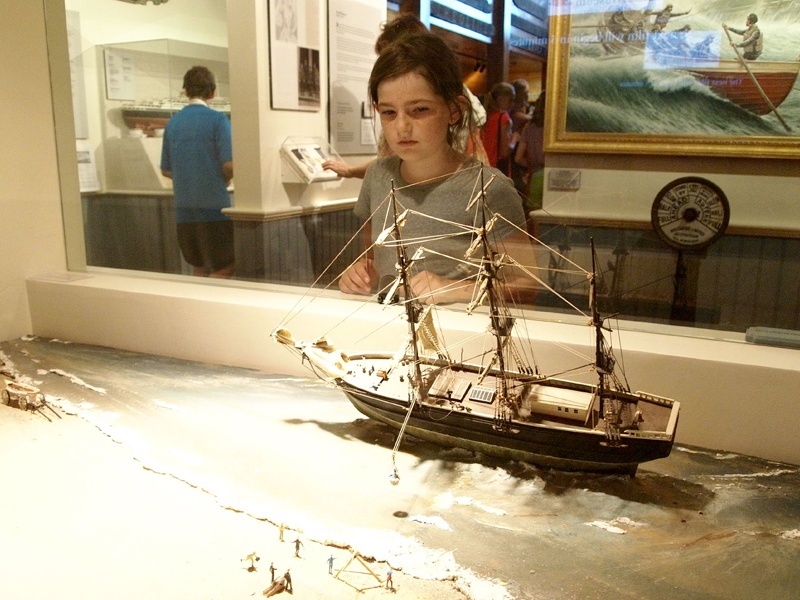 Nantucket Shipwreck & Lifesaving Museum is a gem of a museum that was reopened in 2009 after a three-million-dollar renovation and expansion. One of the first things you see upon entering the museum is a map that shows the location of shipwrecks in the shoals surrounding the island — more 700! No wonder they call the island "a graveyard of the Atlantic." Our guide geared his tour to the kids without even being asked by keeping it short. Don't miss the museum's short film, Marshall: A Nantucket Sea Dog. Logistics: Just a few miles from town, the museum is well worth the visit. Admission is $6 for adults, $5 for kids aged 5-17, and free for kids under 5. Ava scores at the Madaket Mall. Photo by Nancy Picchi. Many islanders opt to drop their own trash off at the island's dump rather than pay for pick-up service. Our kids have always loved dropping the glass bottles and hearing them break. 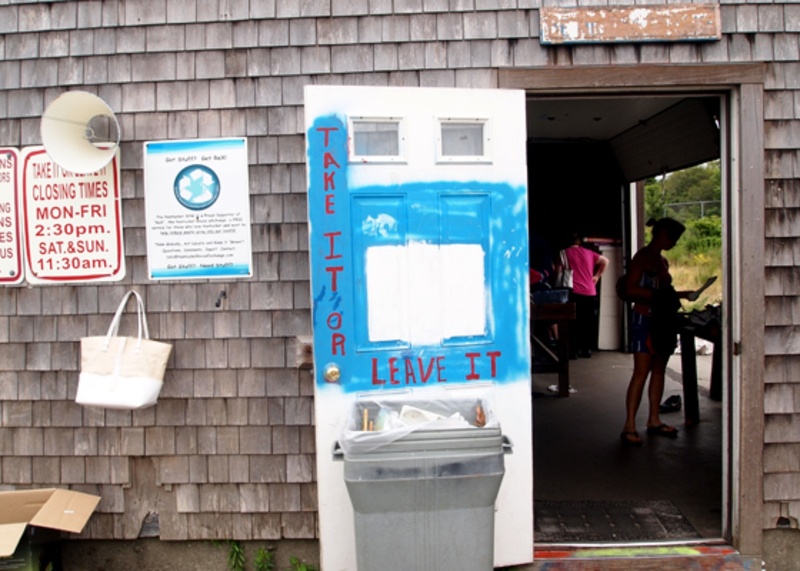 But the real draw for coming to the dump is to visit the little house labeled Take It or Leave It, dubbed the Madaket Mall by locals. One man's trash is indeed another man's treasure, and people have even furnished their homes using items found at the dump. 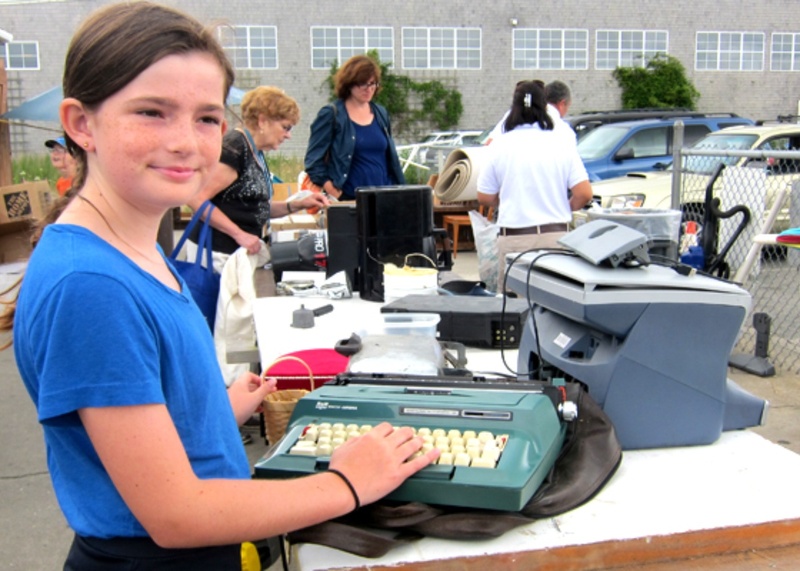 I like perusing the books and seeing how excited the kids get when they see old typewriters. We rarely leave with more than a small trinket, but the kids love the idea of hunting for something great. Logistics: Hours for the landfill and Take it or Leave it vary by day. Check website for exact hours. 188 Madaket Road. If you are staying out in Sconset or don't mind the 7.5-mile schlep from town, you shouldn't miss seeing a movie with your kids at The Siasconset Casino Association, a private social and tennis club founded in 1899. Every summer, the Casino shows movies to the public. Admission is $5 and all the items at the snack bar seem to be priced at about $3. Parents with older kids drop their kids at the movie and go have dinner or drinks at The Chanticleer or The Summer House, both of which are within easy walking distance. Logistics: The Siasconset Casino Association is located at 13 New Street. Call to find out what's playing. +1-508-257­&dash;6585. Last but not least, the Nantucket Atheneum library will always be one of my favorite spots on the island. Find out why by reading my Love Letter to the Atheneum. Sarah is a digital product manager based in Los Angeles. She travels for the ability to connect with the people and places she loves and to disconnect from everything else.